Innovation takes many forms at the University of Georgia College of Engineering. It happens in our classrooms, in our labs, across the state of Georgia and beyond. 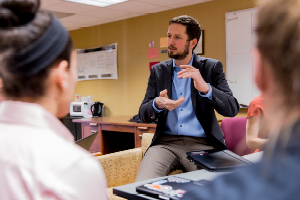 The Double Dawgs program gives ambitious and motivated students a competitive advantage in today’s knowledge economy by earning both a bachelor’s degree and a master’s degree in five years or less. Experiential learning gives students hands-on opportunities to connect their academic foundations to the world beyond the classroom, through creative endeavors, study abroad and field schools, internship and leadership opportunities, faculty-mentored research, and service-learning. The Engineering Education Transformations Institute serves to infuse a culture of engineering education scholarship, research and innovation throughout all administrative units and the 15 degrees programs in the University of Georgia College of Engineering. Finding solutions to the grand challenges of our time. That's our commitment. 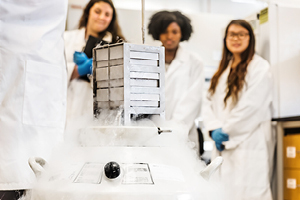 Learn more about the ground-breaking research our world-leading faculty is conducting and explore our labs and research facilities. Our framework of Innovation and Discovery Challenge Clusters promotes interdisciplinary research, education, and service by leveraging the University of Georgia's strengths as a top-20, liberal arts, land-grant institution. Our research reaches across traditional academic boundaries.